A sequel to Star Wars Battlefront is coming in autumn 2017, publishers EA revealed during a recent investor call. That’s another blaster hole in our list of upcoming PC games. To be precise,EA chief financial officer Blake Jorgensen stated that the sequel is coming “a year from now”, when asked about the release window by an analyst. This suggests the game will replace Battlefield in EA’s shooter slot in 2017, possibly towards the end of October or at the beginning of November. 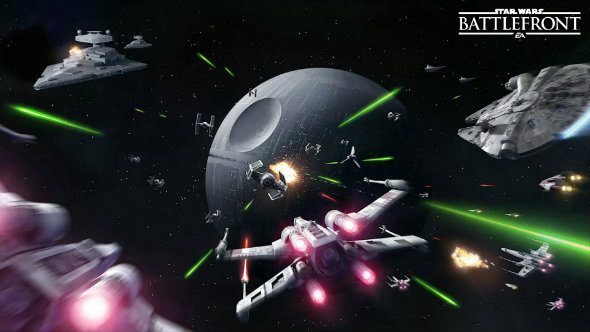 Star Wars Battlefront released on November 17, 2015, so it’s no huge surprise. During the same call, Jorgensen said that they’re “working very hard on making sure that is an extremely deep and engaging offering”. This could mean they’re reacting to the criticism’s of the 2015 FPS, which many found to be too shallow. EA are also publishing a third-person action title from Visceral Games, also set within the Star Wars universe. This release is expected to land some time in 2018, setting EA up to release a new Star Wars game annually.